Because policing fails to meet people’s needs, and puts people in danger of arrest, imprisonment, and/or even death, we must eliminate connections between policing and healthcare. The “Know Your Options” workshop series aims to increase people’s access to the healthcare they need and to decrease people’s contact with law enforcement. Workshops are facilitated by healthcare workers and community organizers. Host a “Know Your Options” workshop with your organization. Request a workshop on this form. Each workshop is designed to increase our understanding of different health topics so when moments of heightened symptoms, events or crises occur, people understand their medical needs and options. 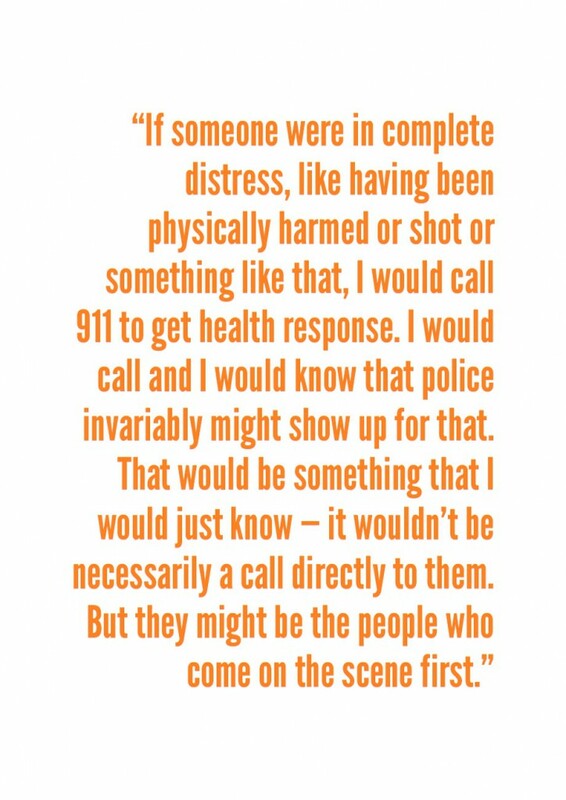 Our goal is to reduce immediate contact with policing, to reduce utilization of emergency services that draw undesired police attention, such as 911, and to support someone accessing the care they need with dignity in case there is law enforcement already on the scene (often entangled with 911 response) or stationed at the site of healthcare (hospital, clinic, etc). In all workshops, we’ll practice ways to reduce our contact with policing and minimize its impact. By then end of this workshop, we hope people are more empowered to address community health needs and to resist the violence of policing. 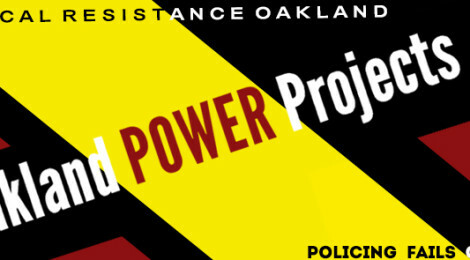 For more information about The Oakland Power Projects, click here. Quote above from an interview for The Oakland Power Projects. Learn more about our interviews and the process here.